The AGM-130A Missile is a powered air-to-surface missile designed for high- and low-altitude strikes at standoff ranges against a variety of targets. 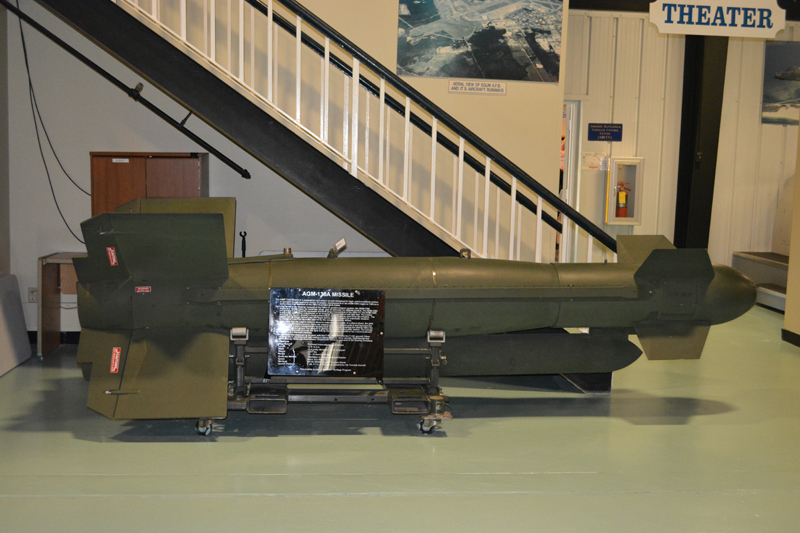 Development of the AGM-130A began in 1984 as a production improvement of the GBU-15 guided glide bomb. Carrying forward the modular concept of the GBU-15 guided weapon system, the AGM-130A employs a rocket motor for extended range, and an altimeter for altitude control. The AGM-130A will provide a significantly increased standoff range beyond that of the GBU-15. The AGM-130A is equipped with either a television or an imaging infrared seeker and data link. The seeker provides the launch aircraft a visual presentation of the target as seen from the weapon. The seeker can be either locked onto the target before or after launch for automatic weapon guidance or it can be manually steered by the weapon systems officer. The AGM-130A may be used in either a direct or indirect attack mode. In a direct attack, the pilot selects a target before launch, locks the weapon guidance system onto it and launches the weapon. The weapon automatically guides itself to the target, enabling the pilot to leave the area. In an indirect attack, the weapon is guided by remote control after launch. The remote guidance is provided through the data link by the launching aircraft or by a second aircraft located in at a standoff distance. The AGM-130A was designed to be used with the F-4E, the F-111 and the F-15E aircraft. Other variants are in development and testing is being done for other aircraft. This missile was developed by Rockwell International Corporation which is now part of the Boeing Company.